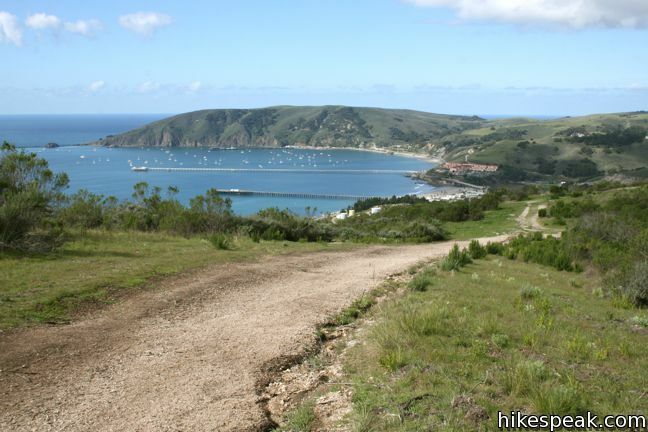 Two parallel but varied trails explore the coast between Shell Beach and Avila Beach in San Luis Obispo County. 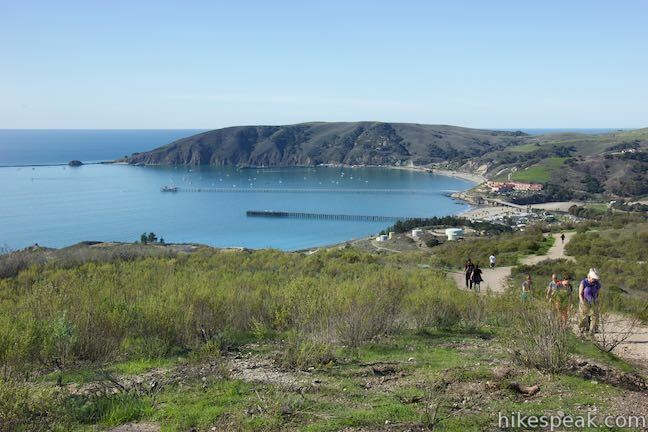 Shell Beach Bluff Trail is an easy, wheelchair-friendly paved trail overlooking a picturesque cove. 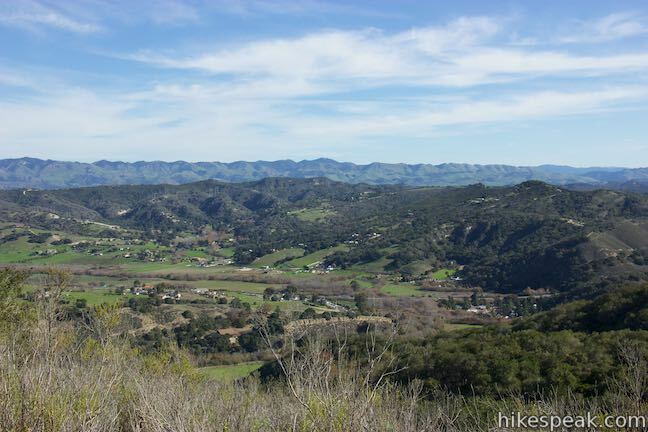 Ontario Ridge Trail is a rugged, sometimes-steep track crossing a 700-foot hill above the bluff. 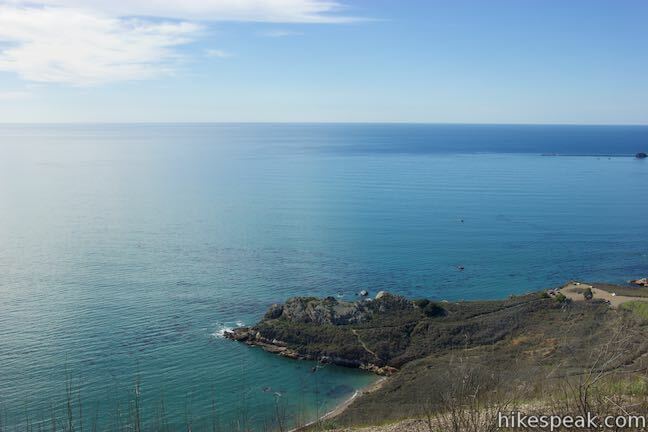 Put these two together for a 2.8-mile loop with 675 feet of elevation change and spectacular ocean views. 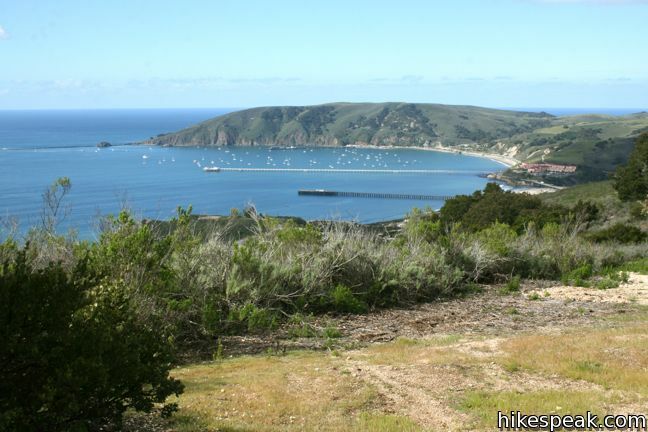 There are two potential starting points for this hike, from the east in Shell Beach, and from the west at Cave Landing near Avila Beach. 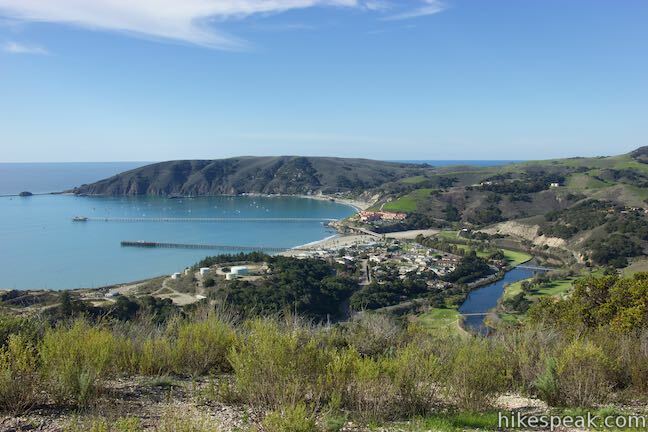 The Shell Beach trailhead is the best place to start if you are only interested in a short casual stroll on the Bluff Trail. For those hiking the full loop, more parking id available at Cave Landing, making it an optimum place to start. 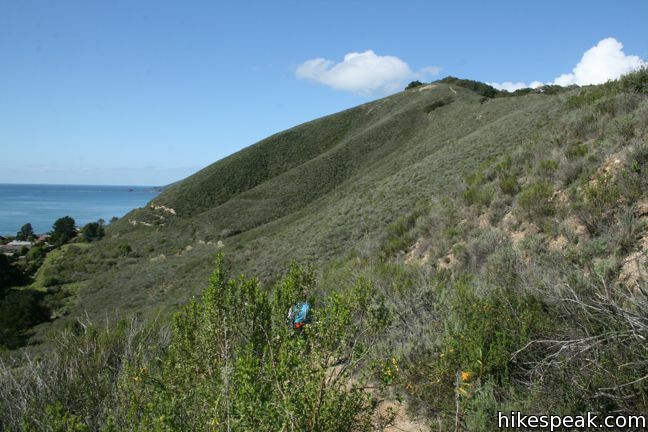 The short path from Cave Landing up to the spine of Ontario Ridge is remarkably steep, so it is preferable to end the hike by descending that slope, rather than starting out with such a tough climb. 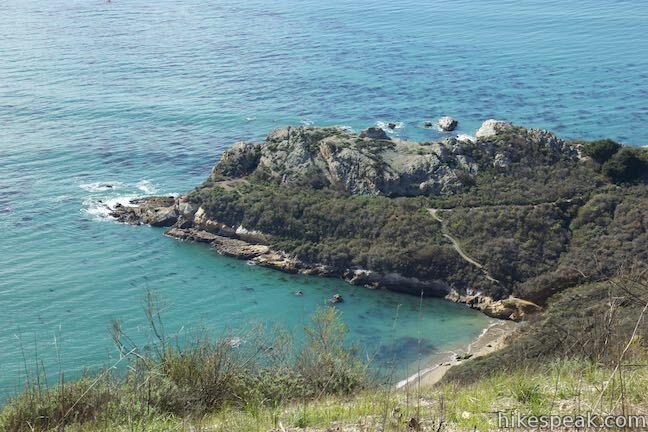 This counter-clockwise loop heads east down Shell Beach Bluff Trail to the other trailhead, mounts the lower east end of Ontario Hill, and climbs the ridge to the 735-foot crown before dropping down to Cave Landing. 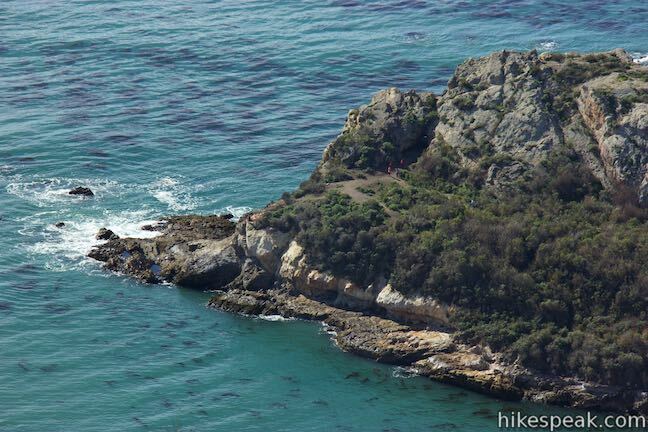 From the trailhead at the end of Cave Landing Road, walk around the gate and up a short rise overlooking Pirate’s Cove. 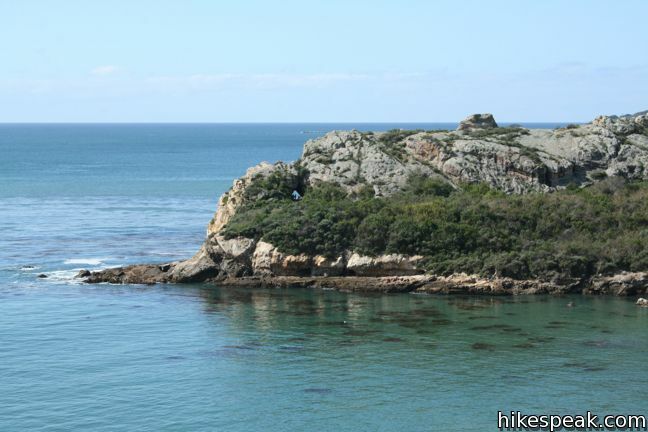 The rocky headland on the opposite side of this clothing-optional beach features a natural tunnel that forms a window on the ocean beyond (hike Cave Landing Trail to explore the tunnel). 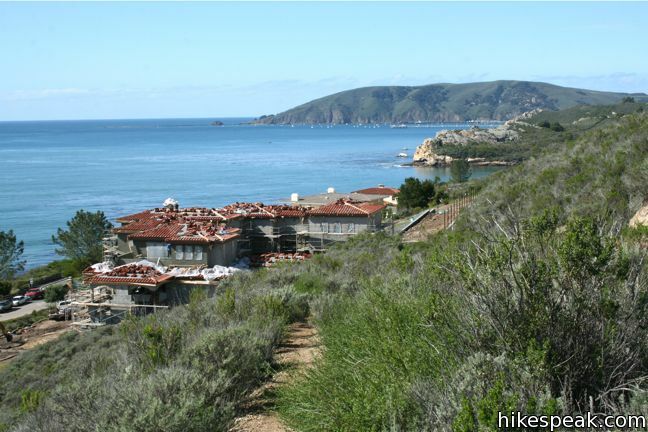 When the wide road drops down to Shell Beach Drive, continue on the paved Bluff Trail, tracing the ocean side of this mansion-lined road. 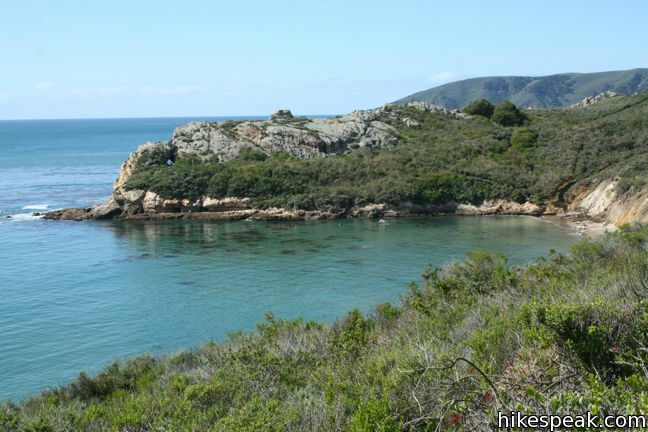 A short spur trail, 0.6 miles from the start, leads to a dramatic bluff where a rope has been tied to allow bold hikers down to the shore. 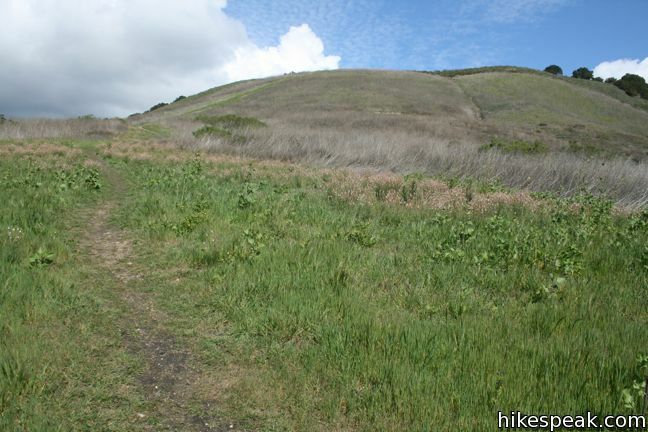 Shell Beach Bluff Trail continues for about a quarter mile to the second trailhead. Cross the paved parking area and the cul-de-sac above. Walk across the area in the road made of bricks and find a chained-off driveway at the end of a stone wall to the right of the last house on the street (don’t walk out to the blacktop area of Indio Drive). The driveway is actually a public access road that leads to the next trail, so use it. 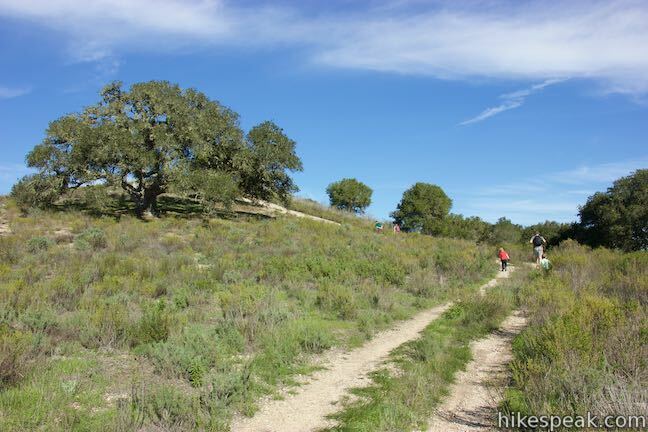 Step over the chain and walk up to the top of the pavement where an unmarked single-track trail starts to the left. 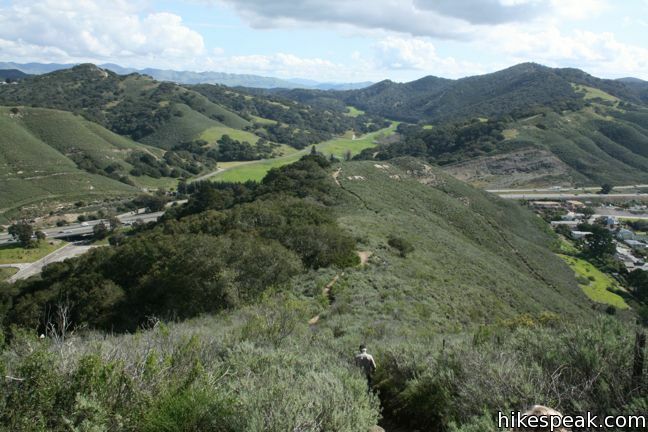 Take this trail, which is Ontario Ridge Trail, and it will lead you up onto Ontario Hill. 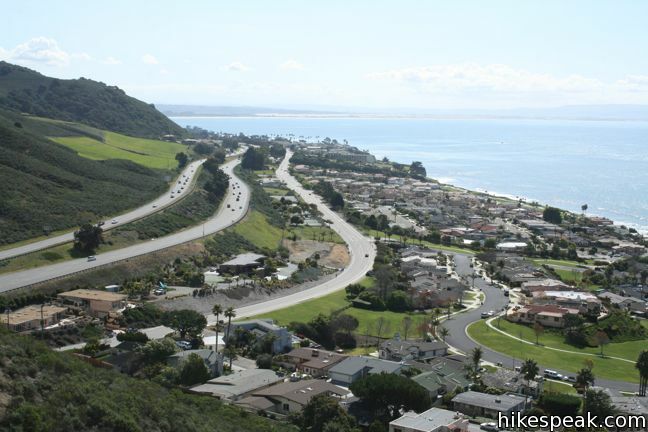 Follow Ontario Ridge Trail as it curves to the right and progresses along the base of the hill parallel to the edge of the Shell Beach neighborhood below. Mount a low saddle on the east end of the ridge. 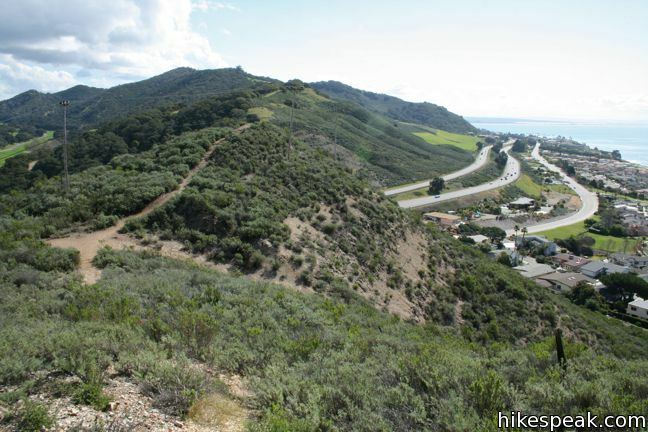 A spur to the right brings you to a short overlook, while the ridge trail heads to the left, delivering a 400-foot climb over 0.9 miles to summit of Ontario Hill. 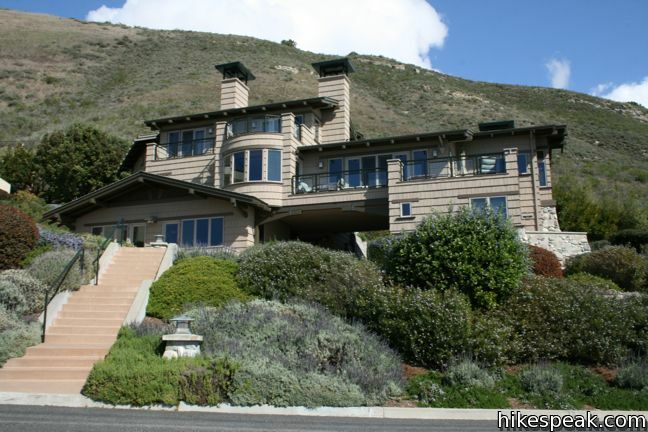 Begin climbing the hillside of coastal sage. 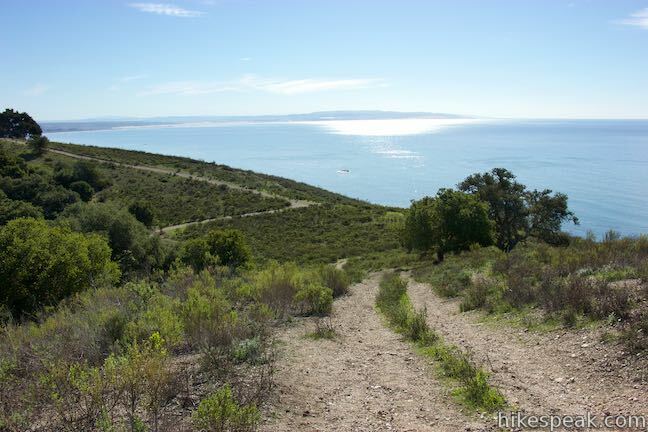 The rugged single-track is steep and rutted in areas, and level in others – delivering an arduous ascent. 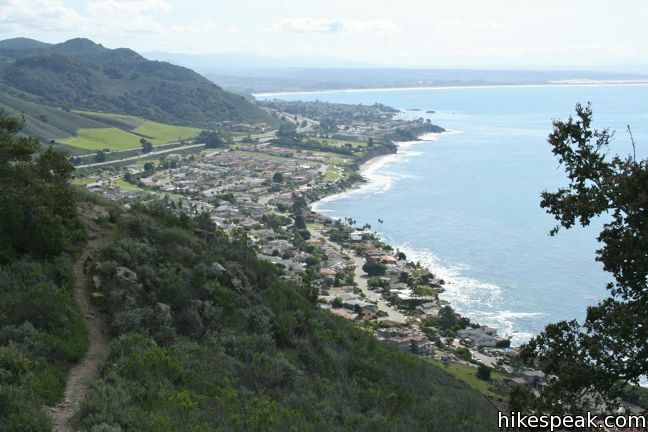 The east end of the ridge is close to Highway 101, which can be seen to the north, crossing Avila Valley toward San Luis Obispo, and to the south, passing behind Shell Beach and the other beach cities. 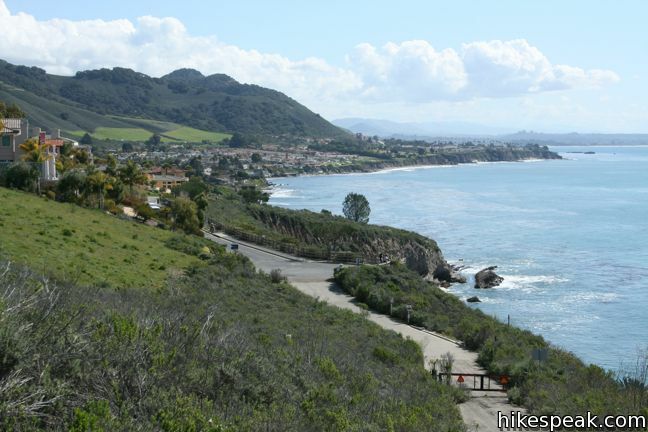 The freeway disappears as you continue, being replaced by sweeping coastal views. 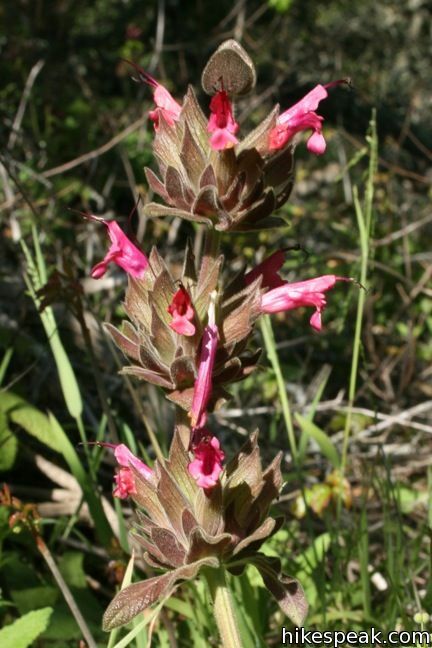 In the spring, blue dicks, lupines, crimson pitcher sage, and monkeyflower bloom amongst the sagebrush. 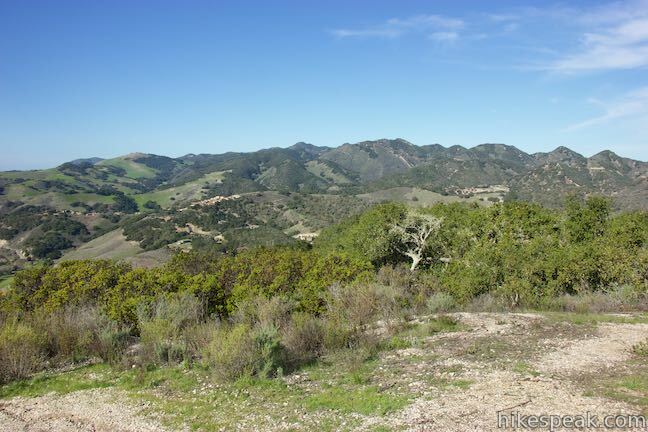 Coast live oaks spread down the north slope of the hill and provide pockets of shade along the trail. 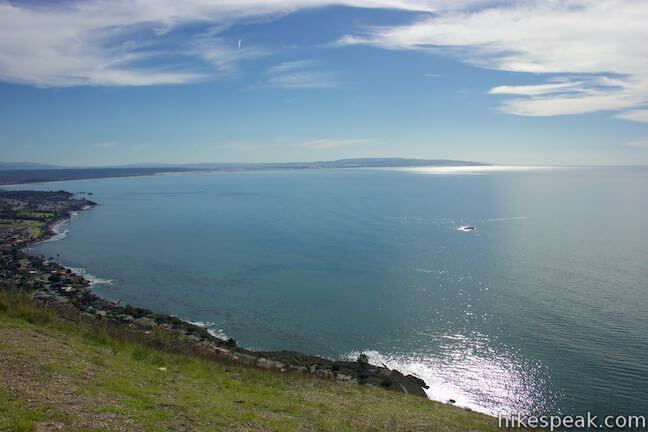 To the southeast, one can see clear across Pismo Beach toward the Guadalupe Dunes and Point Sal. 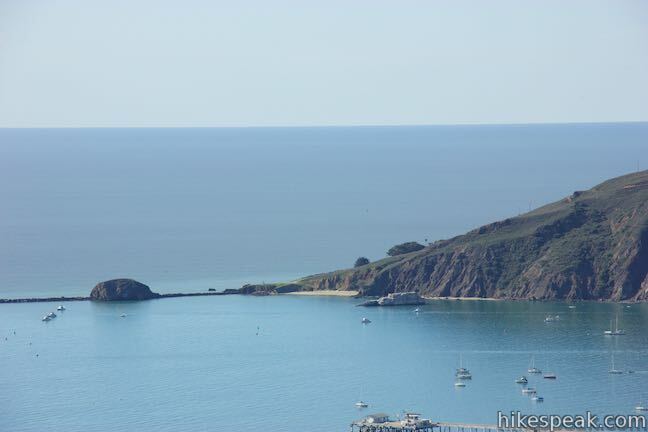 Avila Beach appears to the west gracing San Luis Harbor. 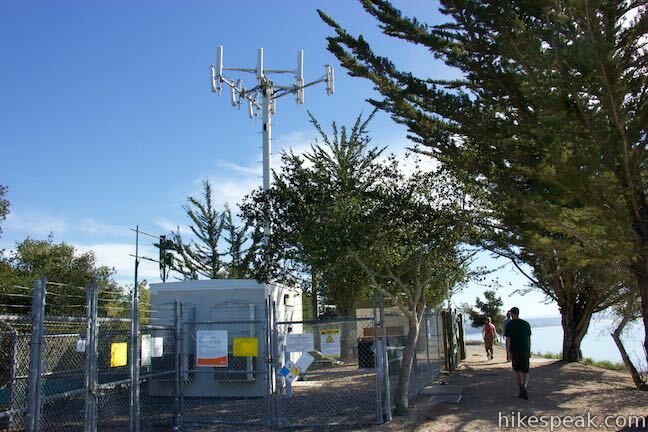 Pass through an installation of radio towers at the top of Ontario Hill and head down the other side. 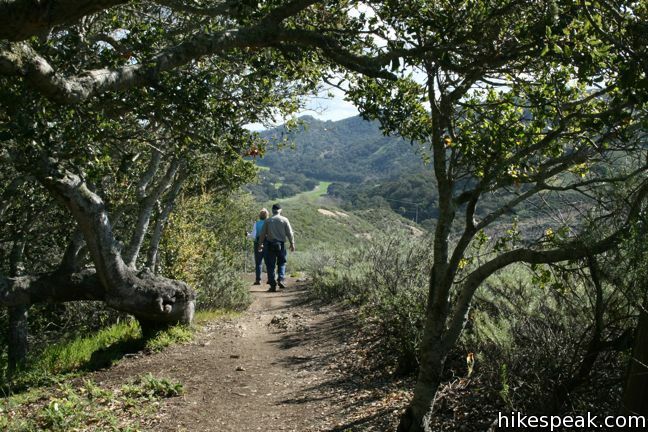 A quarter mile below the 735-foot summit, Ontario Ridge Trail arrives at a junction with Sycamore Crest Trail, a wide trail that travels down the north side of Ontario Hill to Sycamore Mineral Springs Resort in Avila Valley. This is a major junction, but is not marked with any trail signs. 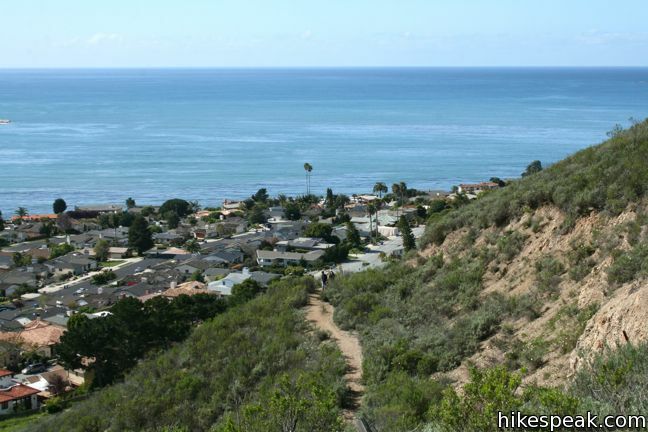 An ideal hike over Ontario Hill, which involves a car shuttle, begins by taking Sycamore Crest Trail up from the resort, and hiking east on Ontario Ridge Trail to Shell Beach, and then using the Bluff Trail to reach Cave Landing, where a second vehicle is used to drive 1.6 miles back to the resort. This route takes the most gradual ascent up Ontario Hill, avoiding challenging climbs from the east and west. 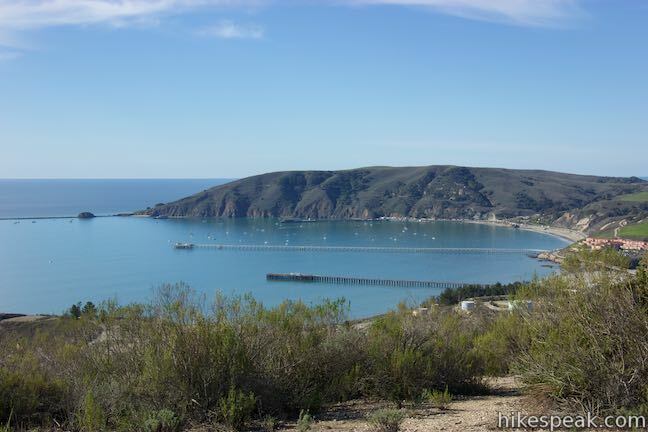 To get to the Cave Landing Trailhead: From Highway 101, seven miles south of San Luis Obispo, take exit 195 on to Avila Beach Drive and head west for two miles toward Avila Beach. A mile before the beach town, turn left up Cave Landing Road. Drive half a mile to the end of the road and pull into the large dirt parking area on the left. 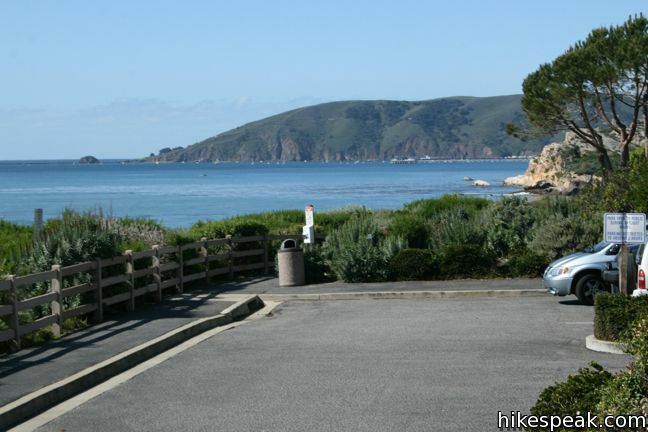 To get to the Shell Beach Drive Trailhead: From Highway 101, exit on Avila Beach Drive and turn south on Shell Beach Road, which runs down the west side of the freeway. Drive 1/3 of a mile and turn right on El Porto Drive. Continue west for 0.4 miles to the end of the road, and make a slight right on Indio Drive. 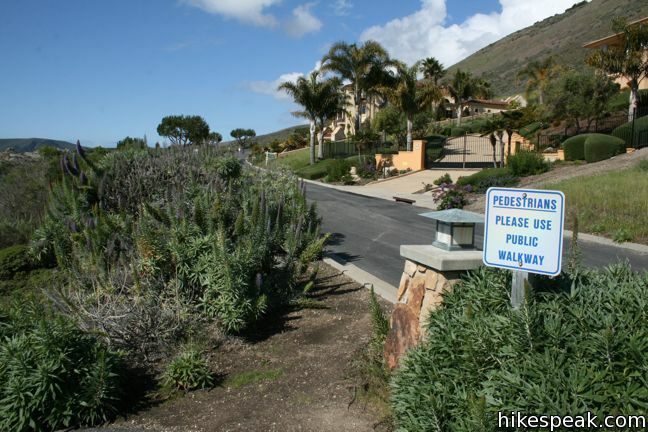 Continue up to the cul-de-sac outside the private Bluff Drive, and turn left down to the parking lot. Click or hover over any spot on this elevation profile to see the distance from the start and elevation above sea level at that location, which will be highlighted on the map. 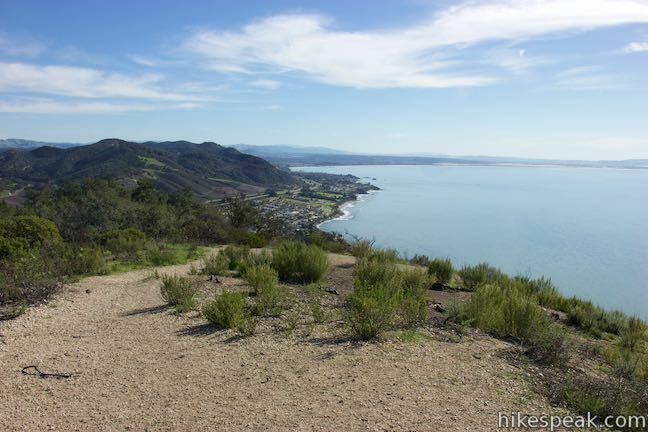 Or view a regional map of surrounding Central Coast trails and campgrounds. These photos were taken in February of 2011 and December of 2014. Click to enlarge. 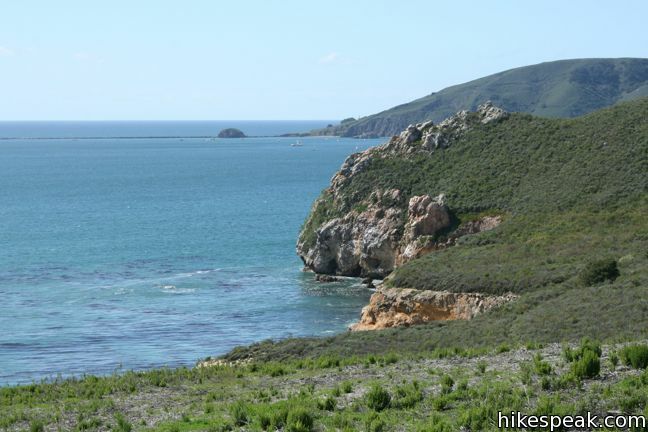 This half-mile round trip hike descends 100 feet to a natural rock bridge at the end of a headland east of Avila Beach. 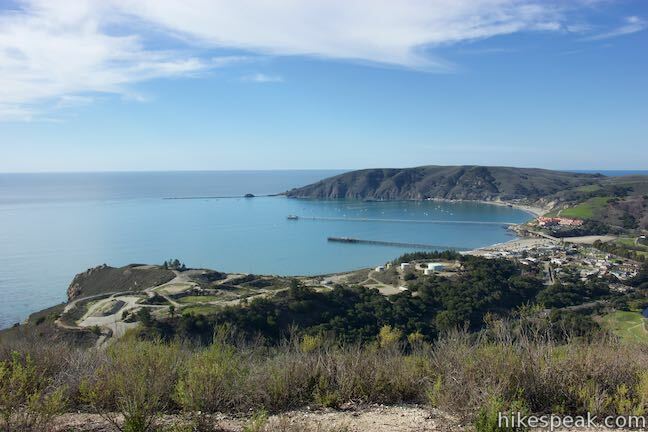 This 1.75-mile hike departs from Sycamore Mineral Springs Resort and ascends the north slope of Ontario Hill, arriving at a scenic ocean perch. 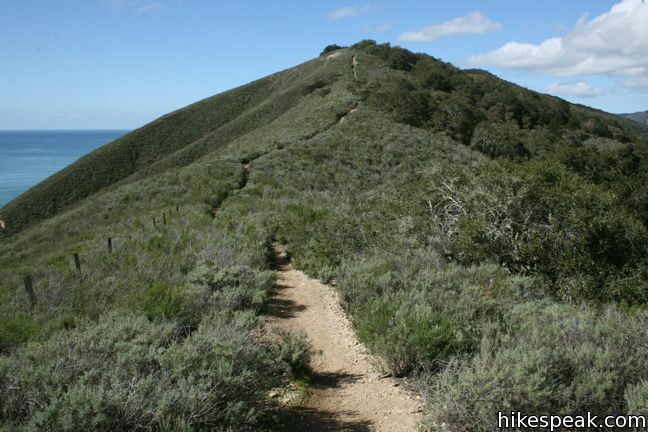 Extend the hike down the ridge and create a 3.25-mile one-way hike. 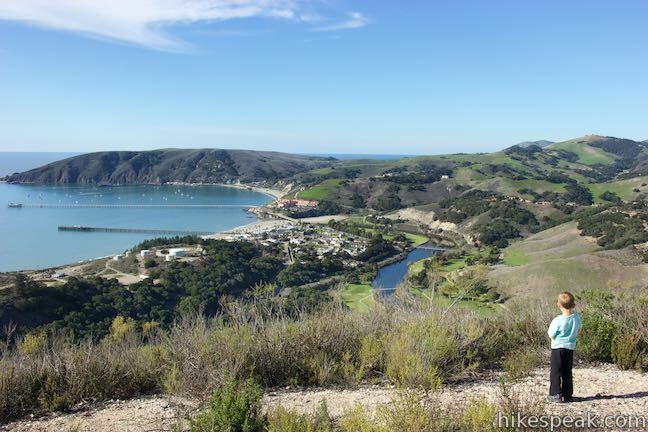 This easy 5-mile round trip hike or ride follows San Luis Obispo Creek to Avila Beach. 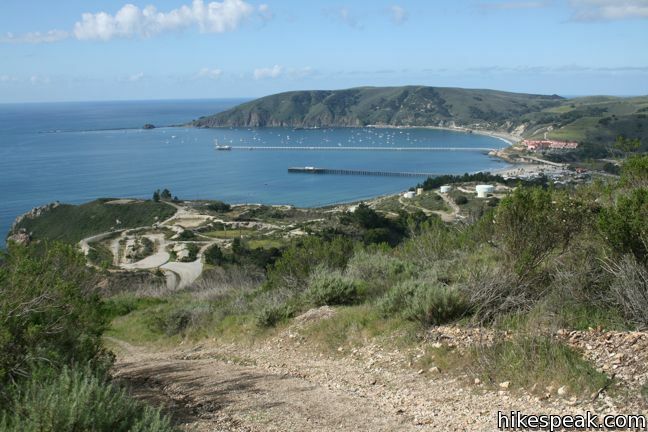 This docent-led 3.5-mile out and back hike crosses scenic coastal bluffs to reach the historic lighthouse on Point San Luis. 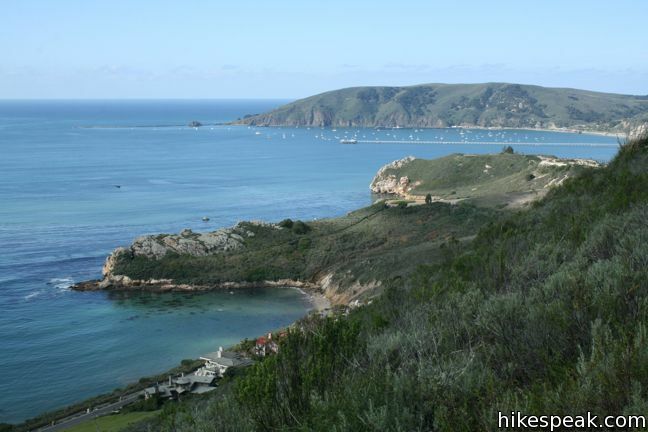 This hike of 2 miles or more takes a boardwalk over a coastal lake and across sand dunes to an out-of-the-way beach. 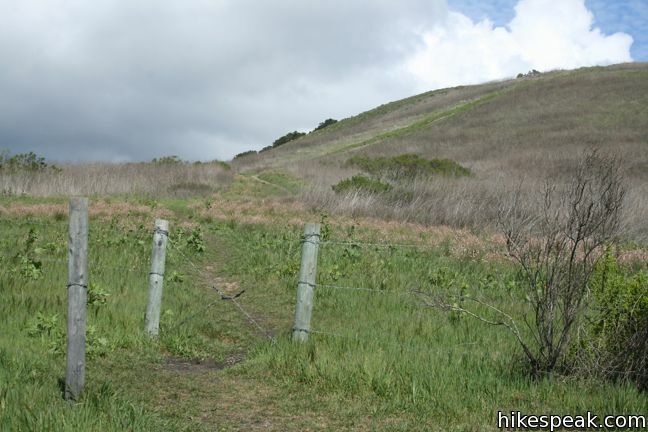 Explore other trails around San Luis Obispo including Morro Bay State Park, Montaña de Oro State Park, and the Morros. 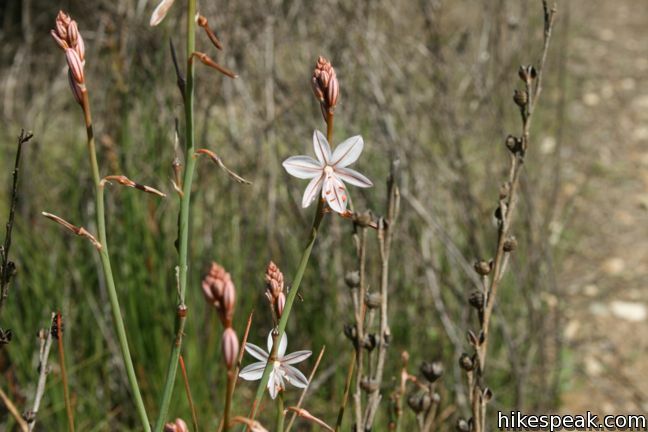 Great website for central coast hikes. Thanks for the good info and photos! This is fantastic information. I’m going to try it today. Thanks for sharing. Did you end up finding out if leashed dogs are allowed? Thx! I took my dog with me on this hike pretty often, and we always ran into other dogs. I would unleash my dog because she preferred to hike without a leash and wouldn’t wander too far from me, but I’ve seen plenty of dogs both on and off-leash. Yes, leased dogs are allowed. Heads up, many people hike with their dogs unleased. I hike this once a week. 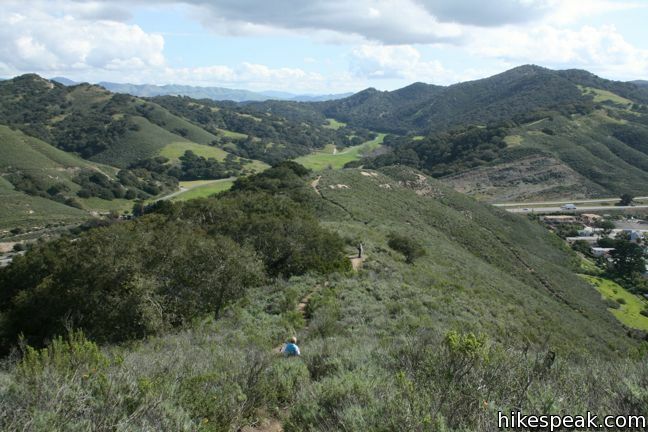 Ontario Ridge contains a network of trails offering a variety of hikes. I use it as a tuneup hike to keep in shape. I try to do it at least once or twice a week since it’s close to my house. The views are magnificent. 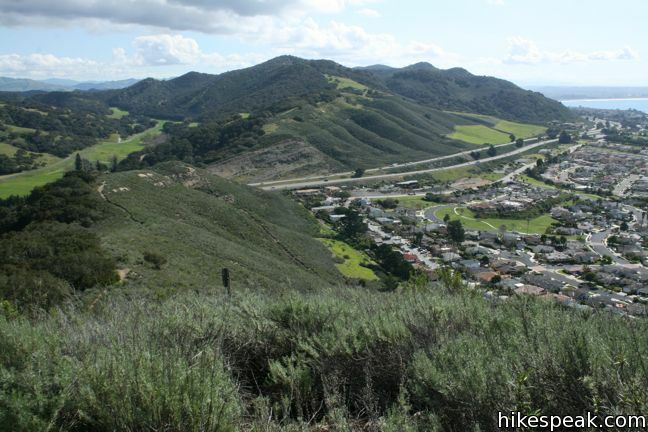 You can see albums of hikes including two of Ontario Ridge on my polecats.org website. It’s imperative that we all print the declaration, fill in the information, sign it and mail it to the Coastal Commission ASAP. Tell your friends and fellow hikers. 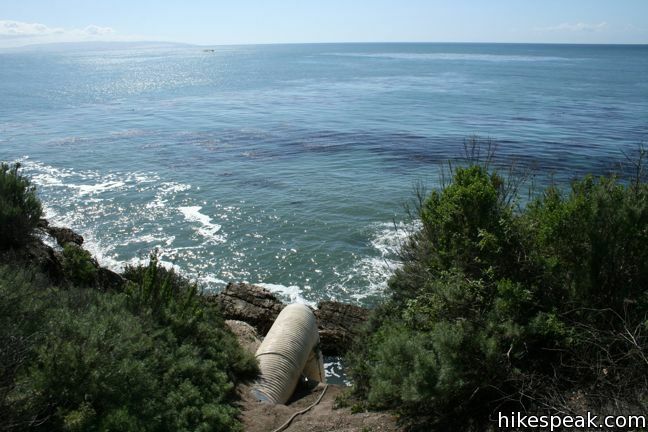 Help the Coastal Commission fight this closure! This is (was) a great short hike. The fences blocking the trail need to be removed. 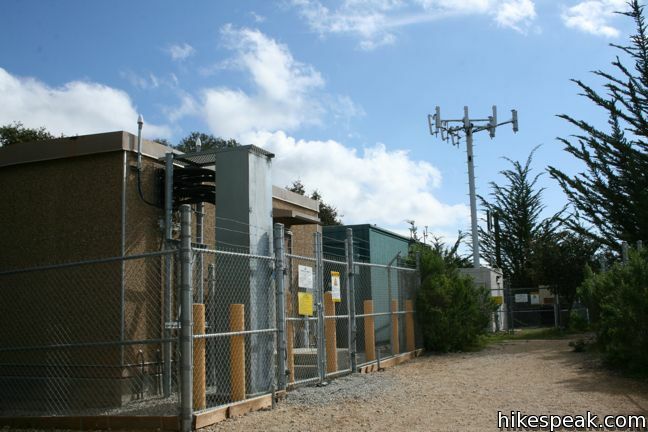 The Coastal Commission will be conducting a hearing on the illegal fencing on February 13, 2014, for those that cannot make it to the hearing what can be done to convince the Coastal Commission to force the property owner to take down this Gestapo like fence. I have used this trail for years and filled out the declaration of public use, is there anything else that we can do to keep this trail open? Are dogs allowed on this trail? 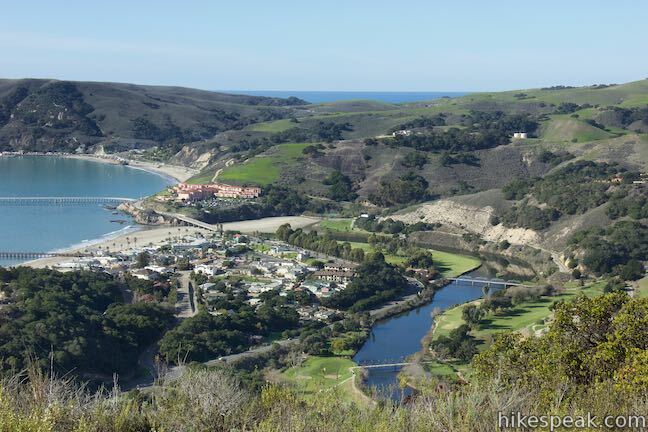 Did this hike today – took about 2 hours for the full loop from Sycamore Resort’s parking lot. 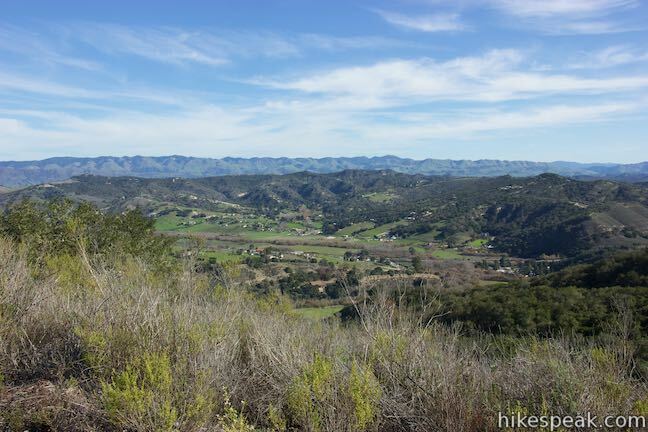 Sycamore Crest and the Ontario Ridge are absolutely gorgeous trails, but the steep trail down to Cave Landing is VERY steep. If you have any knee problems (or younger kids) it would be best to avoid this leg of the loop. 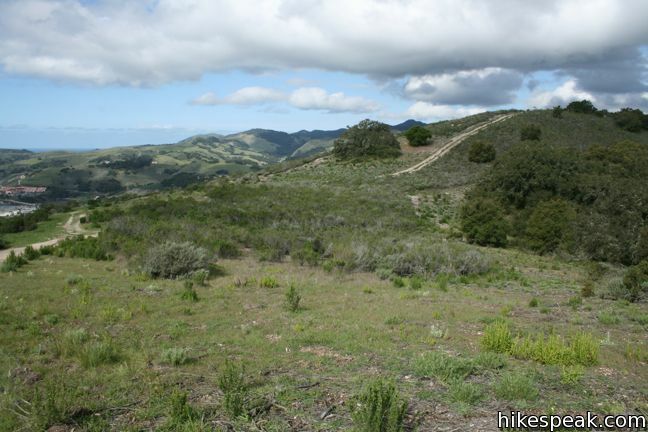 There is also a LOT of poison oak on the Sycamore Crest Trail, and it is in full bloom during the spring. 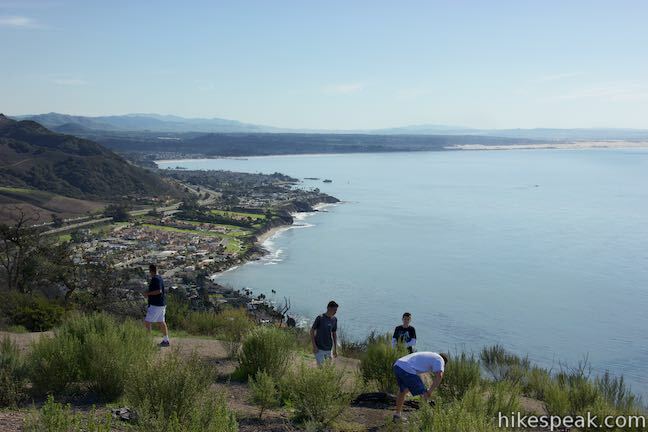 Besides those minor inconveniences, this is a primo hike to get 360 views of SLO, Avila, and Pismo Beach. 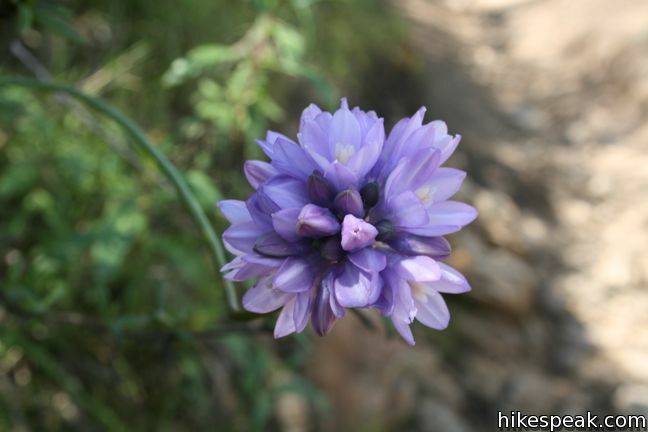 Gorgeous flowers dot the trail, and there is a dynamic amount of full sun and full shade. A great place to go as a visitor of the area. Is the full loop available or do the fences mentioned in the prior posts remain? If the fencing remains, what section is blocked? I believe progress has been made in the battle to keep this trail open to the public (permanently) and the fencing should all be removed. Please share if you have any issues accessing the trail. Parked at Pirates Cove and started at the STEEP hill. The rest of the hike was primarily down hill. Beautiful views of the ocean all along the way. 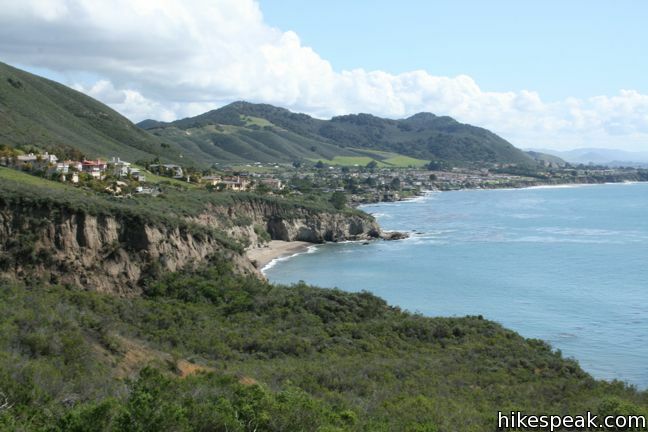 Going to start the hike next time heading south along Shell Beach. 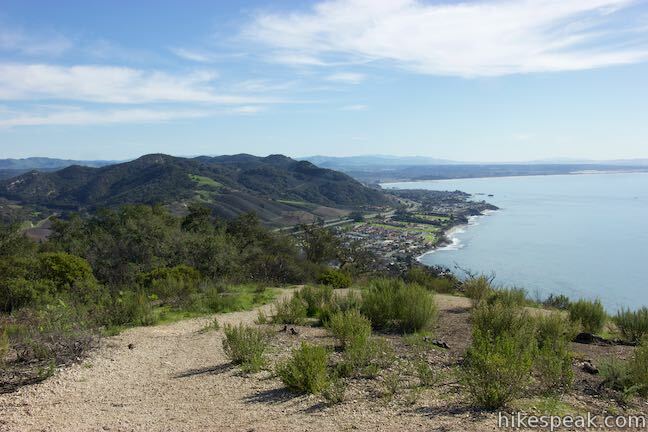 We started at sycamore trail, went down the steep trail to Cave’s landing, continued on Bluff trail and then up on Ontario ridge, on the crests. For me it was better to do it this way since I have bad knees and climbing up from Cave landing at the end would have killed me, since I am a beginning hiker. I saw a man trying to climb up that steep hill with his mountain bike but he gave up after 5 minutes…. 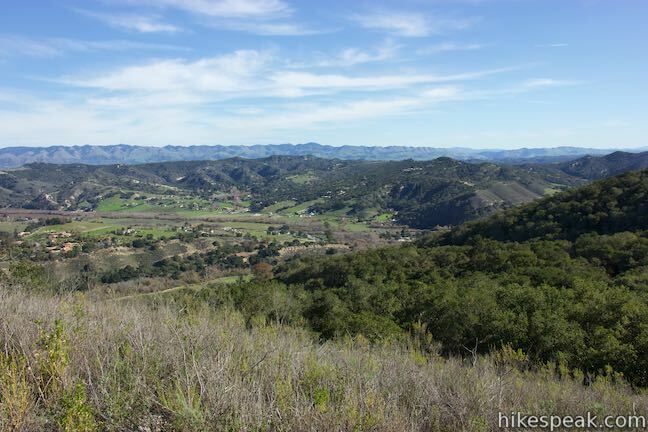 This is probably my favorite hike in SLO county so far. Here is my encounter with the trail, including where we parked, personal advice for the trek, and lots of pictures! And please attend the hearing on January 12! 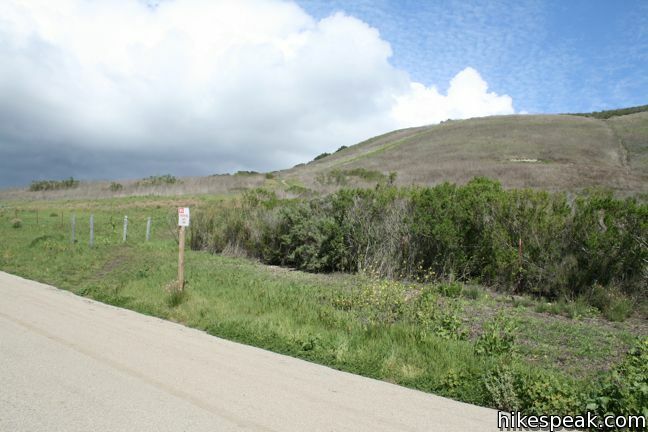 The trail is completely safe, the owners Kevin McCarthy are bullying people telling everybody the trail is unsafe because they want to build a mega million dollar mansion directly on the trail area facing the pirates cove side. It is a community access trail which they bought the property in 2008 with acknowledgement that the property has to be continued to be allowed for public access but here we are in 2017 and they making false claims the trail is dangerous when there has never been one injury reported and two, they are not responsible for injury anyway because it is public access anyway which is on the hiker not the property owners. Is the trail still open? We’d like to hike it next week (July 31, 2018). 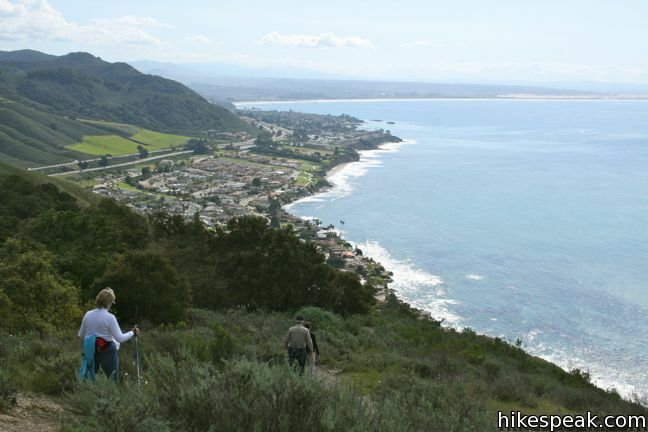 Submit a rating of this hike to go with your comment. Contribute to the average trail rating. Fees & Permits: It's free! 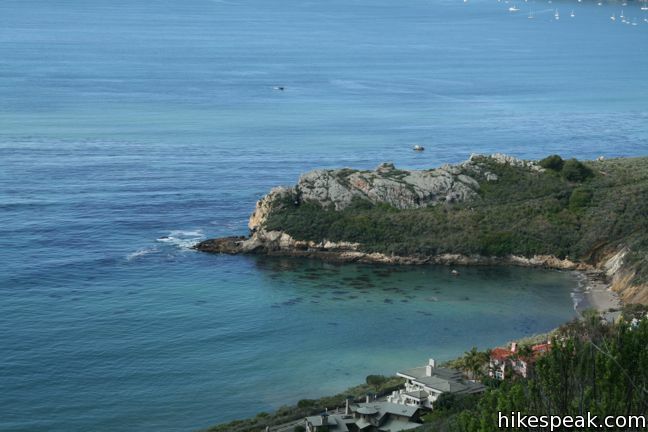 Select a region above to find your next great hike. 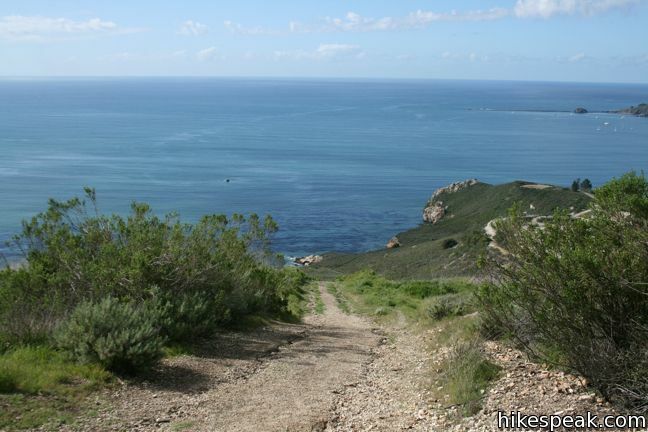 There are over 600 hikes to choose from. 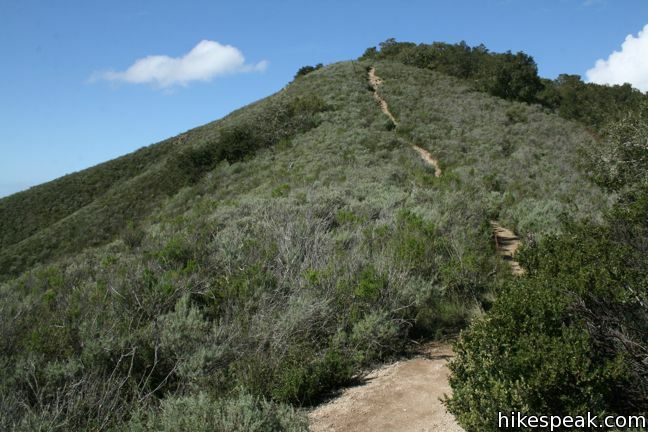 Log in to keep track of trails that interest you with My Hikes and receive the "hike of the month" newsletter from hikespeak.com. Sign Up Lost your password? Where will your boot land next? 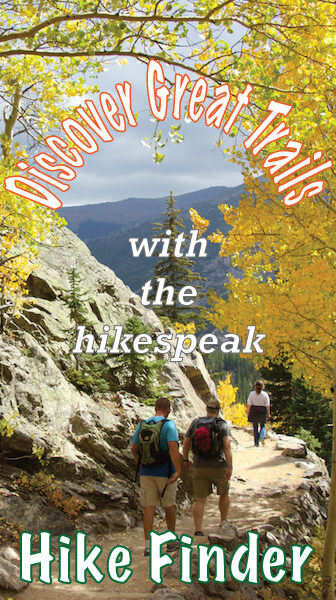 Plot your next adventure with hikespeak.com. 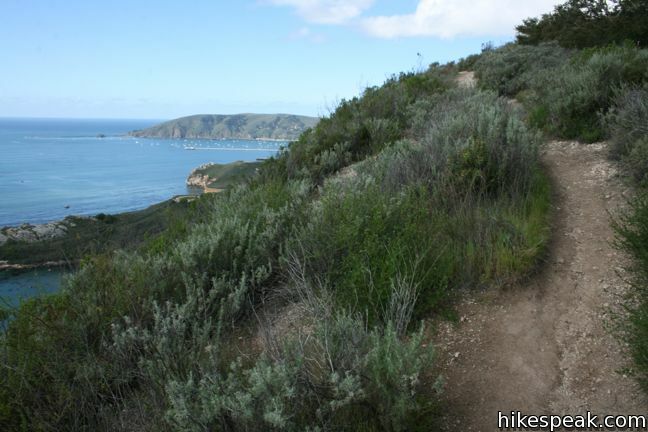 Select a region and browse through searchable sortable lists of trails. 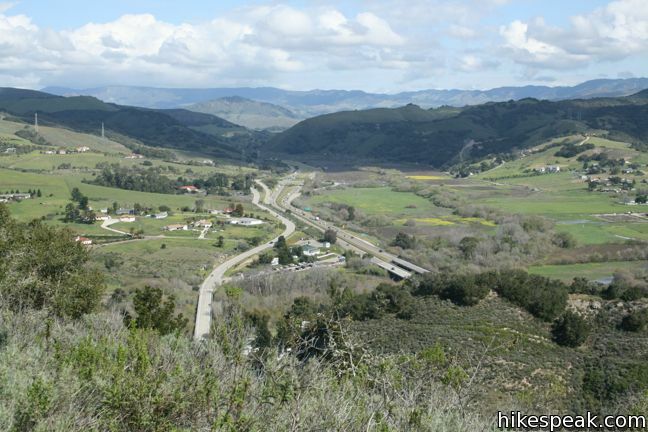 You will find over 700 hikes to explore, plus information on campgrounds and other outdoor attractions. About | Contact | Hike Finder | Map Viewer | My Hikes | Campgrounds | Reviews | Videos Copyright © 2009-2019 hikespeak.com. All rights reserved.